There are lots of authors and books out there, enough that it can be difficult for readers to find what they're looking to read. So I want to share the gems hidden among the chaos. 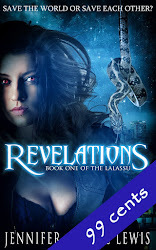 Each month I'll feature a new Hidden Diamond author. If you want to know more, please connect with me and you won't miss the diamond you've been searching for. I first got in touch with fellow Canadian Rosanna Leo through the weekly #RWChat live chat. Her cheerful encouragement and interest in folklore and mythology sparked an online friendship. Hopefully one day we'll get a chance to meet in person but for now, I'm delighted to share her books with more readers. 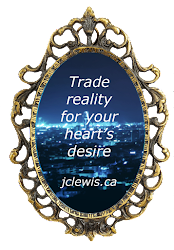 Her characters are beautifully crafted with multi-dimensional depth that make it easy to connect emotionally with them. 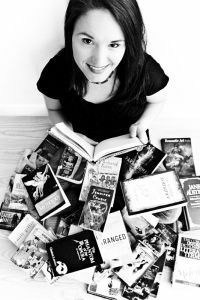 She's sharing her tips for self-care as well as answering my author questionnaire on her writing process, favourite fictional crushes and more. 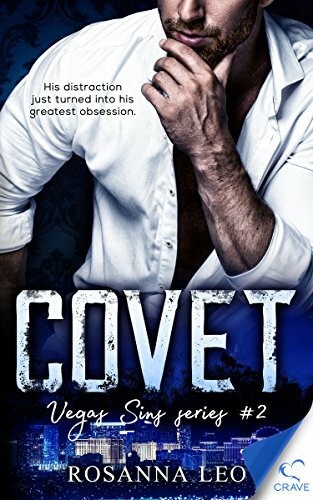 Her latest novel, Covet, is all about Alex, who has acquired Sin City's hottest casino and is determined to remake it into a pleasure palace. But all of his success as an entrepreneur hasn't managed to erase the past that haunts him. 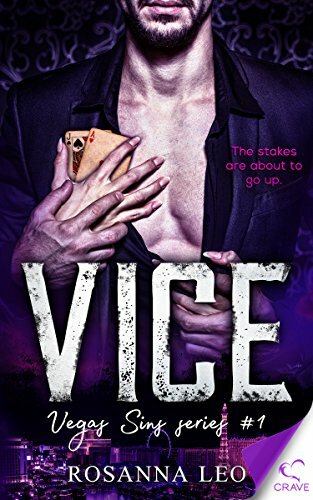 When he crosses paths with Dana, it's a red-hot fling but if he wants more, he'll have to face her demons, and his own. Thanks so much to Jennifer for hosting me today! I wanted to share my thoughts on a topic that means a great deal to me: self-care. We all need to find ways to be kind to ourselves. Many of us have loops that play in our heads, full of negative messages we've received at one point or another, and it can be hard to shut those voices off. However, there comes a time when there's really no choice. We have to take a stand with our own health, be it mental, physical and emotional. In fact, I would argue they are all intertwined. For me, protecting my emotional well being is very much connected to "turning off the noise." What does this mean? It can mean different things for different people. If you are an author, it might mean you establish relationships with critique partners who can be honest without being nasty. It might mean you don't search out all your reviews on Goodreads. It might mean you remove yourself from social media for a while so you can recharge without being constantly bombarded by bad news. Yes, stay informed, but also protect your heart. If you have a different job, it might mean extricating yourself from gossip and negative conversations. It might mean you take your breaks outside in the fresh air. I've had corporate jobs before and I know full well how toxic the cubicle world can be. It helped me to remove myself from my pod regularly. So many factors can add to the voices inside our heads. I know I always have a mental "to do list." When the list grows longer instead of shorter, I feel stress. Yes, we're all adults. We need to get things done, but I'm sure many of us would agree we can spend too much time fretting about things we can't change. Use your precious energy working on things you can change. Most of all, we have to find our peace where we can. If that means we go for walks in the park, so be it. If you long to spend the weekend in your garden, smelling the flowers, make time for it. If you've been putting off reading that book, take a few minutes and read. To be honest, I haven't had to do anything too "out there." For the most part, I'm a big believe in writing what you know, and of mining all those golden nuggets from one's personal history. Luckily, depending on how you look at it, my work history has been varied and I've called on a lot of my own experiences to create occupations for my characters. Because I've been fortunate enough to travel a bit, I've also made use of that experience. Although I've tried many times to create detailed outlines, it just doesn't work for me. I'm more of a pantster. I know where I want to begin, I know the key plot points, and I know how I want to end the novels, but beyond that, I'm generally making it up as I go along. Reading! LOL. I bet everyone says that here. Hubby and I also love hiking and exploring small towns outside the area where we live. Uh oh. I don't think I followed this debate but I'll say astronauts. Thank you, Rosanna, for being one of my hidden diamonds and for those what their own copies of Carey's books, you can find them at the following links. Come back on November 29 for the next Hidden Diamond! Or check out last month's Hidden Diamond, Carey Decevito. Or you can join the mailing list and have the perfect gems for you sent right to your mailbox. Thanks so much for hosting me, Jennifer! Thrilled to be here.